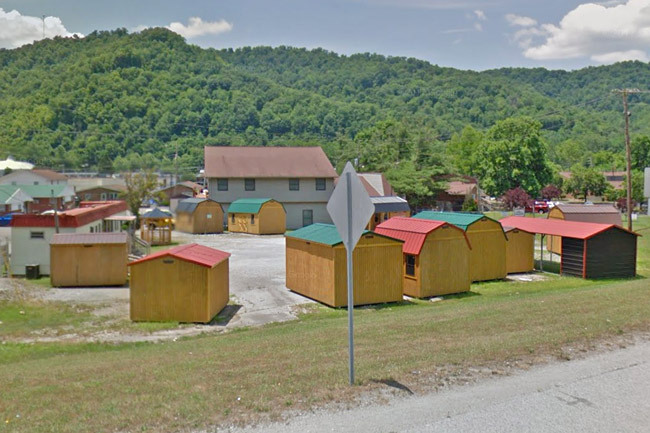 We might sound like a Hair Shack, but if you visit us and you’ll find portable sheds and garages on display in Harlan, KY. Choose from our buildings on the lot and you could have a shed in your backyard within a few days. We offer sheds and garages on this lot which are available or quick delivery. Get a cash deal or Rent-to-Own shed or portable garage and we’ll deliver and set it up for you. Now you can have storage on your property and not have to run to the rental unit every time you need your stuff! Visit our storage shed display lot, and you might find dozens of buildings on display to peruse and feel so you can be sure to get what you want.